Coney Island Fun Run 2016 | JustRunLah! I want to join this run but can’t find any where to register. 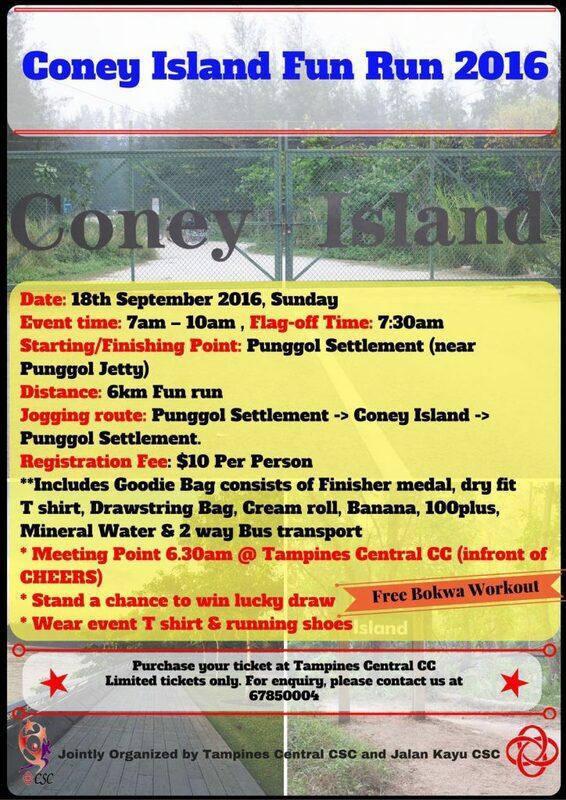 Coney Island Fun Run tickets are available now at Tampines Central CC or you can call 6785 0004 for more information.